It is sometimes misunderstood how doctors of Chiropractic serve our community. 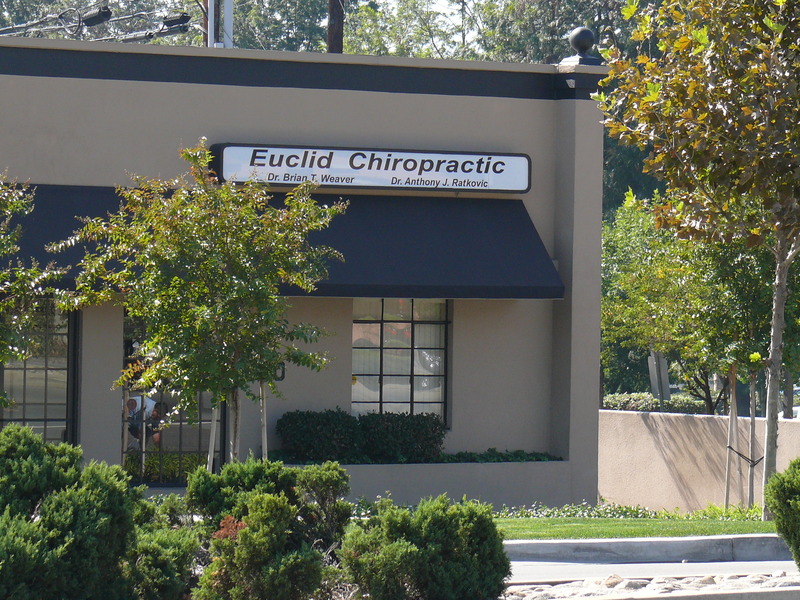 At Euclid Chiropractic Clinic we choose to educate our patients and perform lectures to clarify how we help people. Our purpose is to build our integrity as healthcare providers and, therefore, gain their trust. 1. Most patients in our office are referred to us by friends, family members, or co-workers whom they trust. 2. Patients have commented on the professionalism of our website, and the educational articles and videos on our blog, Facebook, and Google+ that are updated almost daily. 3. Once in our office, patients enjoy the personal attention that our staff gives them, such as filling paperwork and an understanding of their concerns. After several visits, most patients are greeted on a first name basis by all staff when entering the office. 4. Dr. Weaver and Dr. Ratkovic build trust with each patient by sitting down and finding out their concerns, taking x-rays and returning for an honest opinion of how they can help. 5. During office visits, patients say they enjoy the friendly atmosphere, the convenience of our office being open six days a week, having clear payment options and the availability of the doctors by phone. As we have built our integrity, our office has grown to serving over 12,000 visits per year for the last 10 years. And we hope to help more people as our trust with you continues to build momentum. Thank you for the many patients that helped write this post and many more to reinforce its belief. Throughout the year, Euclid Chiropractic is invited speak in our surrounding community to promote health. Today, Dr. Ratkovic speaks to Upland High School Students whom have an emphasis in the health sciences. Here are the videos associated with Dr. Ratkovic’s talk today. How to build trust and stay passionate in your vocation. Our brain controls our decisions. Specific people, not the majority, think outside the box (or would like to). They don’t listen to mainstream media that says medications are safe, its okay to eat fatty, greasy foods, and exercise is overrated. This minority of people question the chemicals that medical doctors want to put in their body, drug commercials and cheap drive-through fast food is good for you. These people believe staying healthy includes exercise, eating healthy to AVOID medication. These people believe in spending time and money consistently finding ways to improve their health, naturally. If that is you…Congratulations! You think like a Wellness Chiropractor. Chiropractic believes your body has an internal self-healing, self-regulating system called the Innate. Innate (energy) travels through your nervous system allowing your body to function at its peak potential to avoid sickness and maintain a great state of health. Chiropractic maintains a healthy nervous system of your whole body so you can stay healthy and restore health, without drugs, when you get sick or injured. The science and art of chiropractic – the How – (such as the specific adjusting techniques) were developed, and are used, in accordance with the philosophy – the Why. THE ADJUSTMENT of the neck and back, when appropriate, moves the space between the bones of the spine. This releases gaseous pressure in the joint space causing the popping sound. Similar to when someone pops their knuckles. At Euclid Chiropractic, the adjustment is the end result of an extensive examination, x-rays (when appropriate), and consultation with all patients. This allows complete safety with any treatment rendered and eliminates fears about Chiropractic care. Through the adjustment, Chiropractic care removes the interference blocking the nervous system. Then the body can fully expressing health. people have been able to reach their optimal health. A Subluxation limits spinal bone motion causing nervous system problems. Long-term subluxations cause arthritis and sickness. The video below through Chiropractic Biophysics Technique shows the effect of subluxations on the neck. Over a period of months, a subluxations can change the curve of the spine to change causing arthritis/decay. Chiropractic Adjustments remove subluxations preventing arthritis and health conditions. Through proper nutrition, routine exercise and a healthy nervous system, the human body can maintain a great state of health. During phase one, a patient maybe experiencing moderate to extreme, constant pain or other symptoms. To reduce the level of pain or other symptoms, patients will be seen by the doctors on a frequent basis until function and activities can return to normal. In phase two, as patients start to feel their symptoms regress, the doctors will use their excellent care to return the patient’s spine to a normal alignment allowing the nerves to function properly and a return to health. This phase may also include exercises to improve the body’s flexibility and strength to support better posture. After improvement is reached on the follow-up x-ray, some patients maybe a candidate for infrequent visits to keep their spine healthy. These patients recognize the doctor’s ability to elevate and maintain a great state of health.